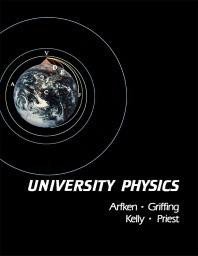 University Physics provides an authoritative treatment of physics. This book discusses the linear motion with constant acceleration; addition and subtraction of vectors; uniform circular motion and simple harmonic motion; and electrostatic energy of a charged capacitor. The behavior of materials in a non-uniform magnetic field; application of Kirchhoff's junction rule; Lorentz transformations; and Bernoulli's equation are also deliberated. This text likewise covers the speed of electromagnetic waves; origins of quantum physics; neutron activation analysis; and interference of light. This publication is beneficial to physics, engineering, and mathematics students intending to acquire a general knowledge of physical laws and conservation principles.